Honda Cars India is planning to open a new integrated manufacturing plant at Tapukara in Alwar district of Rajasthan. Though this plant has been in existence since 2009, it remained idle for a fair amount of time. On April 2, the company announced that Rs. 2500 crore would be allocated for reconstruction of the plant and is expected to be completed by 2014. This unit would encompass an assembly line for cars, a production line for diesel engine components and a forging plant. All functions of powertrain shop, weld shop, frame assembly, engine testing facility, engine assembly, paint shop and plastic moulding would be done at the new shop. Once operational, the Tapukara plant would be the second manufacturing unit for Honda in India and would have an annual installed capacity of 1,20,000 units. The other plant is located in Greater Noida, Uttar Pradesh. The total annual installed production capacity of both the units would be 2,40,000 units, once the Tapukara plant becomes operational. Commenting on the new unit, Honda Cars India President and Chief Executive Officer, Hironori Kanayama said, “India is one of the key markets for Honda globally and we plan to drive in new models across segments in the coming years." The company plans to launch five new models within a period of three years. Honda has already launched the new CR-V in India in February this year and plans to introduce the Honda Amaze on April 11. With the addition of a new manufacturing unit, Honda would attempt to increase its share to over 50 per cent in the passenger car market, as per Kanayama. Interestingly, these new investments are part of a global rejig that Honda is undertaking to revive sagging sales. Integrated manufacturing unit to be set up by Honda in Rajasthan . Amaze, an entry level sedan for India, specifically gets the 1.5 litre i-DTEC engine, which is the debut domestic application of the company’s Earth Dreams Technology. This revolutionary engine type is expected to be incorporated in several new models from Honda. 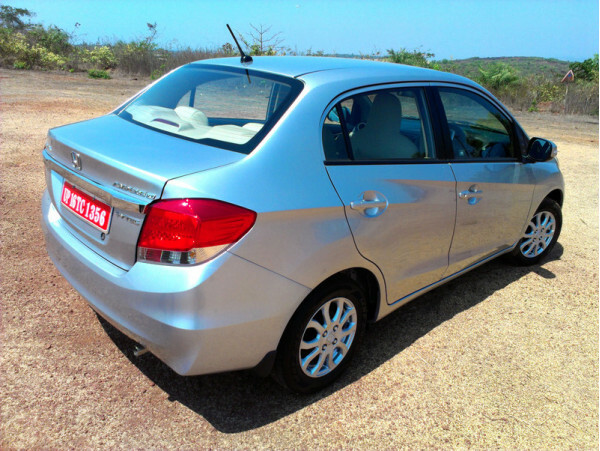 The 1.5 litre i-DTEC engine of Amaze would generate a power of 99 bhp and a class-leading mileage of 25.8 kmpl. The Japanese manufacturer had previously shied away from building diesel vehicles in India, but after being outpaced by manufacturers such as Hyundai, Volkswagen and Skoda, it has realised that this is a necessary investment for a bright future. On the other hand, industry experts are of a view that that most of these plans would depend on how the new Honda Amaze diesel fares in the market.